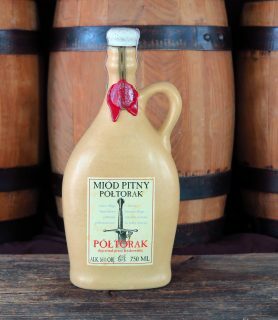 A high quality trójniak mead produced with mostly autumn honey and a touch of spring honey, herbs and juices. 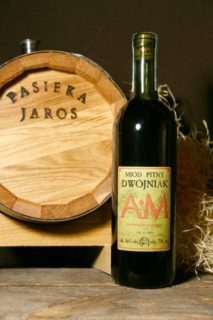 The alcohol content is around 13%. 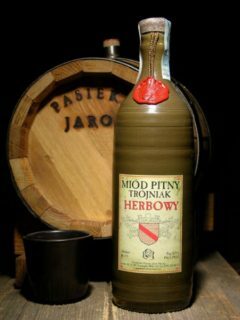 A typical trójniak produced with the proportions of one part honey to two parts water. Matured by aging. 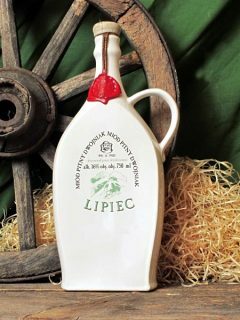 Produced from a mixture of summer and autumn honey with a touch of aromatic home-grown herbs. 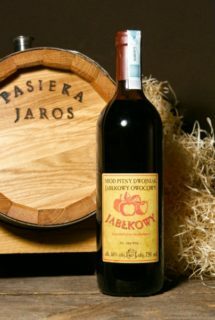 A fruity drinking wine in which 30 % of the water needed for production is replaced by juice procured from older best-loved apple varieties. 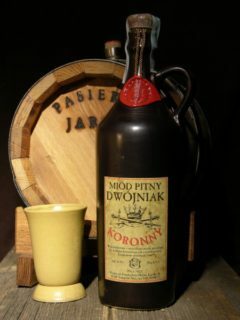 A typical dwójniak produced with equal parts honey and water with a mixture of specialty herbs from Poland and produced with mainly dark autumn honey. 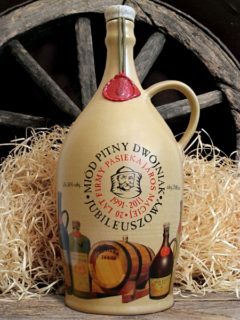 This unique dwójniak is made ​​from pure honey lime from the Borecka Forest. Matured by aging. 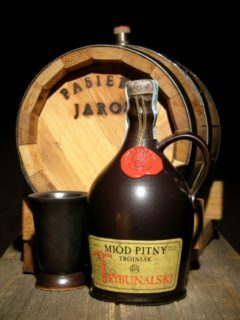 The alcohol content is around 15%. 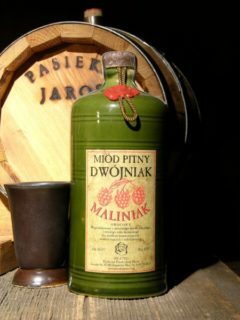 A fruity drinking wine with a minimum of 30% of the water needed for production replaced by raspberry juice. Created from the highest quality multi-flower honey.